The aftermath of the 2017 hurricane season starts to come into focus out the window of the Boeing 737 as we descend toward Luis Muñoz Marín International Airport in Puerto Rico. I think I’m seeing the roofs of the buildings below but all of a sudden I realize that all those blue roofs aren’t roofs at all. They’re blue tarps providing minimal protection to homes and buildings damaged by the recent trifecta of hurricanes: Irma, Jose, and Maria. As we pass through the San Juan airport the “everything’s fine” polish of the gates for arrivals and mainland departures gives way to the broken, moldy, non–air conditioned concourse of the inner Caribbean carriers. I’m not even to the British Virgin Islands yet and the destruction that still remains from storms that passed over these islands three months ago is still unpleasantly palpable. This was my first trip to the historic and mythical cruising grounds of the British Virgin Islands. Before Hurricane Irma made landfall here, my understanding of the BVI was simply the backdrop of Jimmy Buffett and Kenny Chesney songs. In my mind, these islands comprised a faraway boating paradise of beach bars, sunny skies, breezy days, and carefree living. Hurricane Irma changed that vision for me as I watched from 3,800 miles away as Mother Nature carried out her own scorched earth policy across the Caribbean. 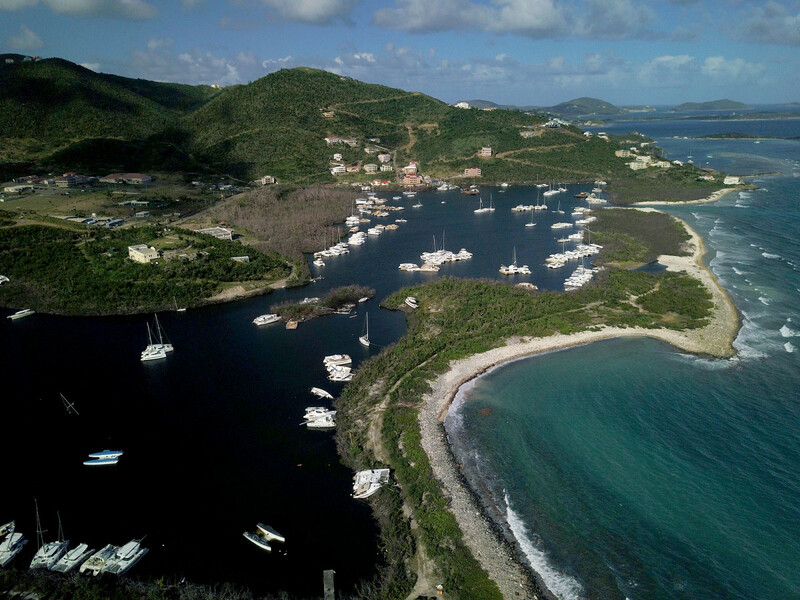 Paraquita Bay was the main hurricane hole in the BVI; it suffered a direct hit from Hurricane Irma and three months later boats are still being salvaged. 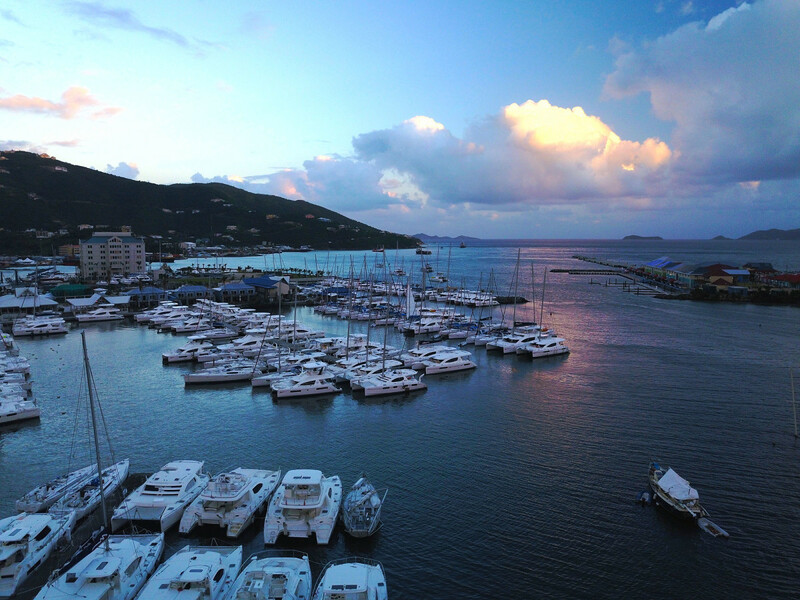 I was headed to the British Virgin Islands to meet up with editors from several of the other Active Interest Media Marine Group magazines, including Soundings, Power and Motoryacht, Sail, and Yachts International. The plan was to spend the better part of the following week cruising and exploring the British Virgin Islands to evaluate and report on the readiness for the upcoming cruising season. But while the region had certainly taken a beating from the 2017 storms, it sounded like folks were working hard to ensure that they’d be ready for 2018 tourists. 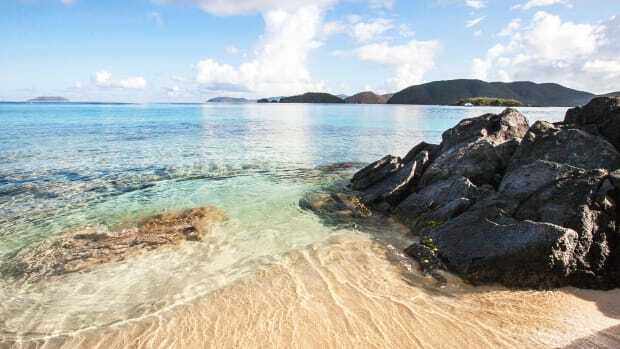 From afar the rebirth of the British Virgin Islands looked well underway. 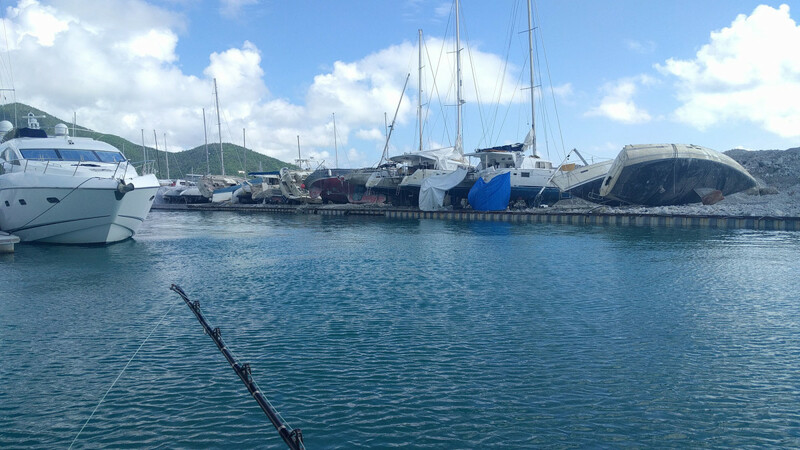 MarineMax and The Moorings were opening back up with boats that had survived the storm, boats they were able to repair, and new boats they had brought in to fulfill their bookings. 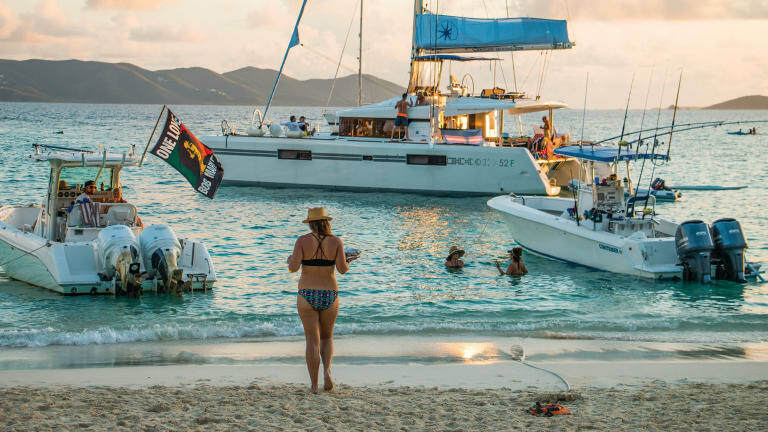 Daily news of beach bars, restaurants, and services reopening suggested the BVI was back in business, and that was the message being broadcast across the boating world. Some of the destruction that still existed in Nanny Cay three months after Hurricanes Irma and Maria. As my plane descended from its short hop from San Juan to Tortola, I stared out my window at boats washed up in Trellis Bay and the tops of masts of sunken ships breaking the water’s surface like oddly placed pilings. As the plane touched down we passed the twisted remains of airplane hangars filled with the metal and detritus of scores of destroyed private planes and outbuildings. Stepping off the plane onto the tarmac, my stomach sank. This was my first trip to these islands. At this moment I realized I was here to evaluate a place I’d never been to, to see if it was ready for the return of charters and cruisers. Was the BVI ready to welcome sailors back? Were the scars from these storms too strong? Was the spirit of the BVI broken? I hear it gets better… when you sail into Cane Garden Bay. Hurricane Irma was the most powerful hurricane on record for the Atlantic Ocean. It moved slowly, leisurely spinning itself across the Lower Antilles at 16 mph, taking its time pulling apart what lay beneath it. As images and accounts of Irma trickled out of the Caribbean in its wake, it was hard to imagine that they were real. Social media showed cellphone photos and videos of storm waters moving in and houses being pulled apart by the sheer force of the wind, which gusted up to 300 mph in some places. The scenes of destruction looked like a war zone—homes destroyed, no building left untouched, not a window to be seen. And in all these images, the lush green backdrop the Caribbean is known for was gone; the vibrant green landscape was denuded, leaving twisted tree trunks and bare hillsides. What is left of the Great Harbour Methodist Church. Only days after Irma had churned her way through the Caribbean, Hurricane Jose formed in the Atlantic and threatened to follow a similar path. 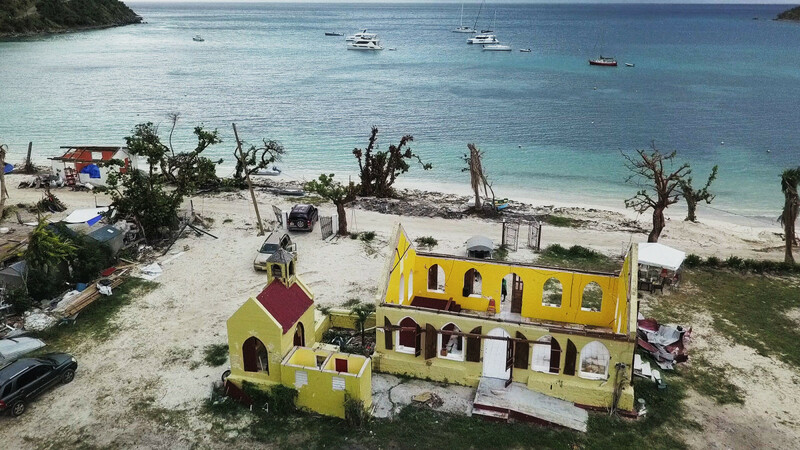 Irma had destroyed 95% of Barbuda and the threat of Jose led to the evacuation of the entire island, leaving it uninhabited for the first time in recorded history. 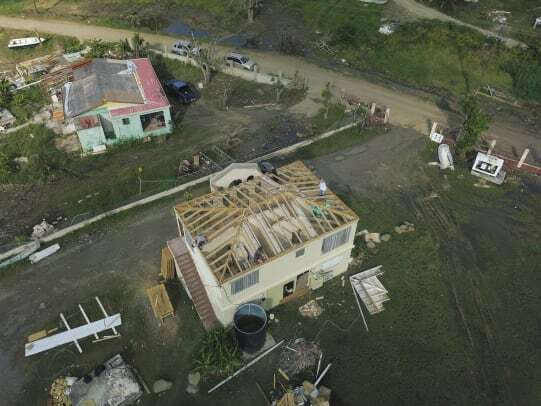 While Jose ultimately veered east and lost power, it showed the psychological damage wrought by Irma, a trauma that would be revisited when Hurricane Maria, another Category 5 hurricane, churned through the Lesser Antilles less than a month later. General Managers Jamie Gladman, Stacy Bachali, and bartender Jason ready the Soggy Dollar for the Sunday Flotilla event. 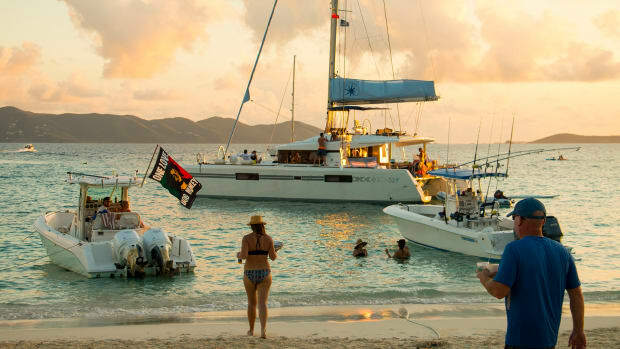 My first planned stop was to attend a BVI Strong Flotilla party, an event that had been mentioned to me by many people when I was researching the trip. I had reached out to Marcie Parker, who organized these flotillas via Facebook before my arrival to see if I could join her for one of her famed flotillas. She was happy to have me along, and I met up with her my first morning in Nanny Cay to head over to Jost Van Dyke on her 30-foot Contender. As we packed the boat with the tools and provisions for a proper barbecue, I asked Marcie about the genesis of her now-famous Sunday meetings. She explained that shortly after the storm, she headed from Tortola, where she lives, over to Jost Van Dyke where many of her friends lived, to check in on them after the storms. They all gathered at the remnants of one of their favorite beach bars in White Bay. It seemed like the right thing to do. And as they sat and drank beers and wondered about the future of White Bay, Jost Van Dyke, and the entire BVIs, Marcie had an idea. The next weekend she’d do the same thing and bring more people. 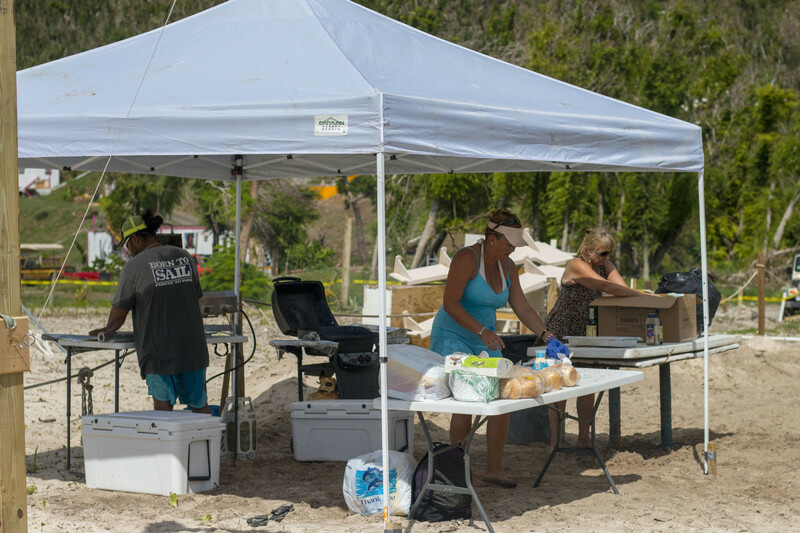 Forming a Facebook group (BVI Strong Flotilla), she began hosting flotillas every Sunday in the hopes of drawing some of the pre-storm traffic back to help rebuild the businesses that defined places like White Bay. Charter cruising boats, chartered day boats, and locals gather in White Bay for the Sunday Flotilla at the Soggy Dollar. The flotillas became fundraisers for the bars where they were hosted. Marcie provided food that she sold for $10 dollars a plate, she brought ice to the bars to cool beers and mixed drinks, and most importantly she motivated other people to come. The profit from the day’s events provided the small, locally owned bars the capital to pay their staff and gradually rebuild their bars. Marci Parker, her partner Chris, and a friend start preparing the BBQ which helps raise funds for the host bar. When you run a beach bar, it&apos;s nice to have your own boat. 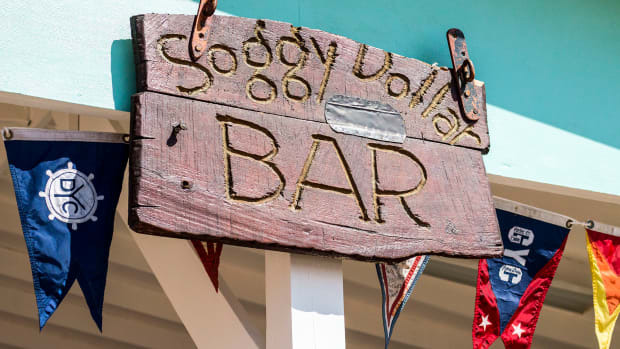 The party at the Soggy Dollar went on all day and into the night. I mingled with the crowd, talking with boat captains, charterers, and locals alike. Even though the scars of Hurricane Irma were still apparent three months after the storm, everyone I talked to had an optimistic outlook. They were alive, they were open, they were ready, and they were sure the tourists would return. Even though the landscape had changed, life would return to normal. 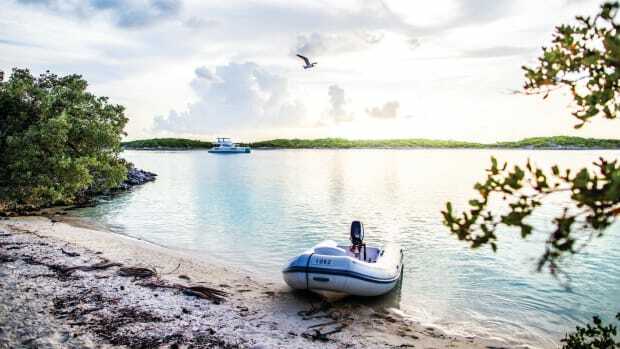 As we eased out of White Bay to head back to Nanny Cay, Marcie fired up the radio and the classic Kenny Chesney song, “When I See This Bar,” broke the silence of the night and drowned out the hum of the outboard. I was starting to understand the British Virgin Islands of the popular Tropical Rock songs of Jimmy Buffett and Kenny Chesney. I wasn’t ready to claim to know the scenery just yet, but this special place was starting to make sense. We returned to the Soggy Dollar on Tuesday, officially open for business, and a little less crowded than the previous weekend. Two days later I was back at The Soggy Dollar, now officially open for business. 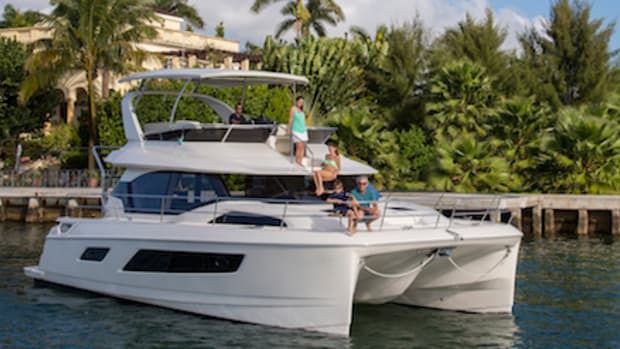 The day before, I had joined my fellow editors and we set off in a loose flotilla of three boats: a 43-foot powercat, a 45-foot sailing cat provided by The Moorings, and a 48-foot Aquila 484 from MarineMax. We pulled into Great Harbour on Jost Van Dyke early in the afternoon and made our way around the corner to White Bay to visit The Soggy Dollar for one or two of their famous Painkillers. That night we returned to the boat and hosted dinner using our copious onboard provisions. While many places were starting to reopen their kitchens, we had provisioned the boat for what felt like four weeks instead of four days. 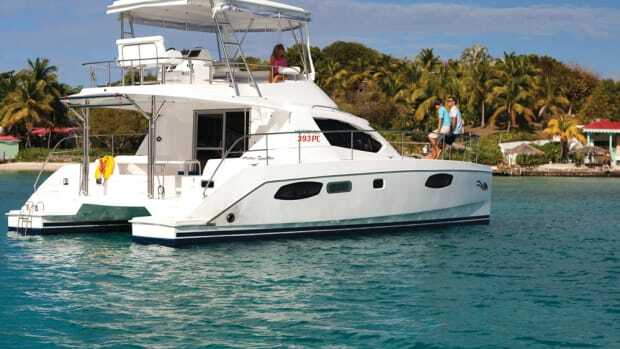 This, in many ways, is what makes chartering in the BVI so attractive. 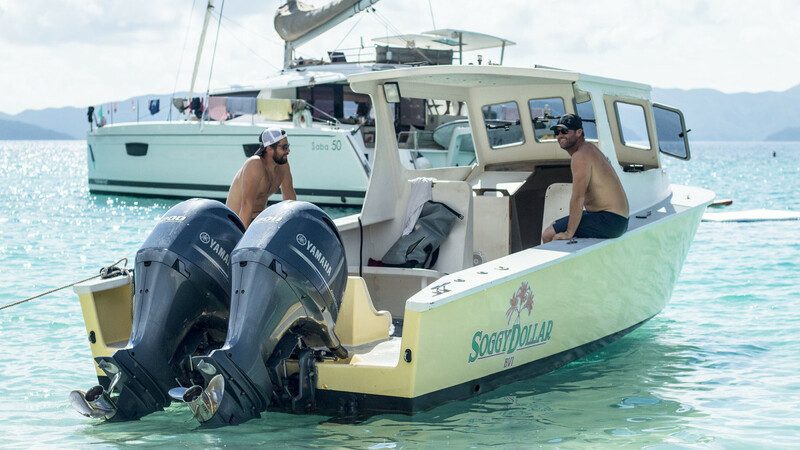 You can become self-sufficient on your boat, and it’s like having a mobile hotel room—you can enjoy the natural beauty of the islands without having to be dependent on what is ashore. But what is also unique about the BVI is the fun that is to be had on shore. 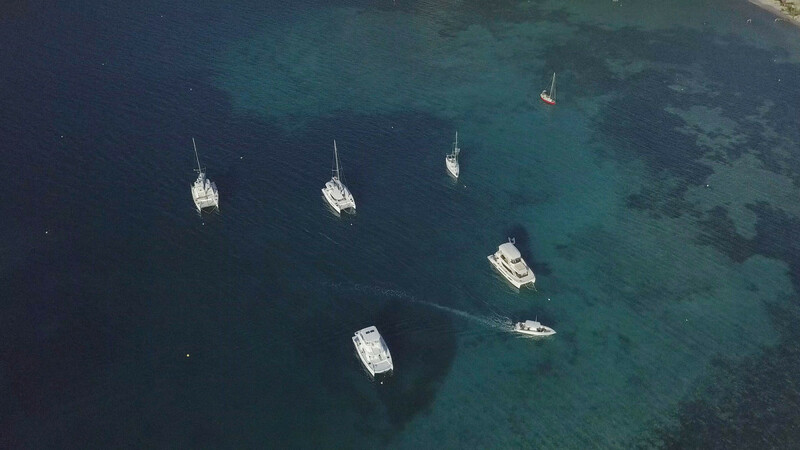 Our loose flotilla of three boats; a MarineMax powercat and a powercat and sailing catamaran from The Moorings. Our first stop was Great Harbour where we joined just a few others in the large mooring field. The next day we board the dinghy and head into the village of Great Harbour. From the mooring field we can see the destruction left behind by the hurricane. The yellow Methodist church at the heart of Great Harbour is missing its roof, its windows, and its furniture. But all is not lost. 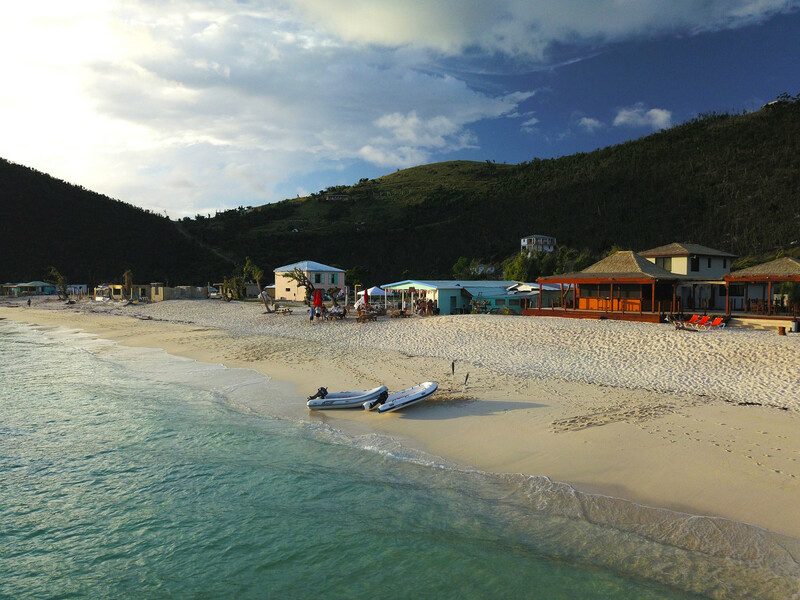 At the far end of the bay, Foxy’s Tamarind Bar weathered the storm quite well. There are far fewer palm trees now, but the business cards, shirts, and stickers that adorn the bar’s interior, left by the tourists of the world, are miraculously still there, if a bit windblown. 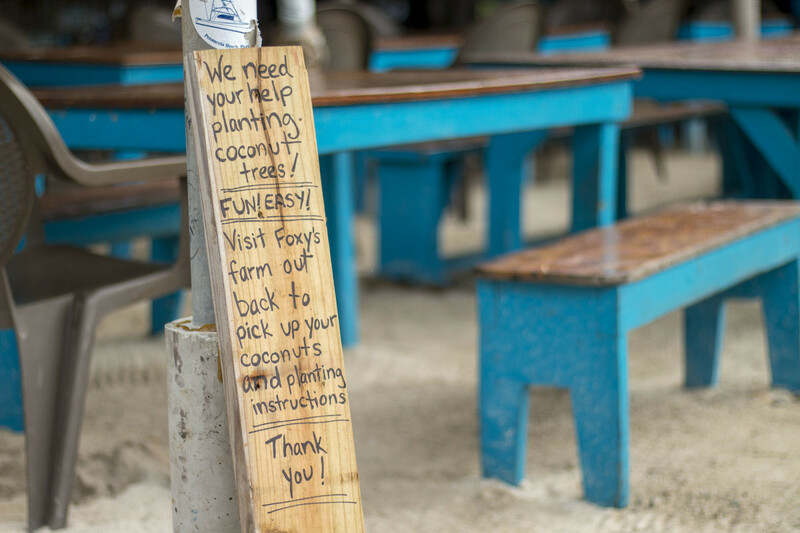 In both White Bay and Great Harbour, many of the palm trees that once lined the beach are gone, and just like the Soggy Dollar, Foxy’s is helping return the beaches to their former verdancy by holding fundraisers and tree plantings. Both Foxy’s and The Soggy Dollar are working to help reforest Jost Van Dyke with palm trees after the deforestation of the beaches brought by Irma. Throughout the community there were signs of regrowth (though not all were so literal as the palm tree reforestation). Near the Methodist church, volunteer crews were working hard to repair the roof of the medical clinic and make repairs to the local school. Restaurants were putting themselves back together, debris was being cleared, and the community was healing. From Jost Van Dyke, our tour of the islands broke up our flotilla and took us on separate journeys. 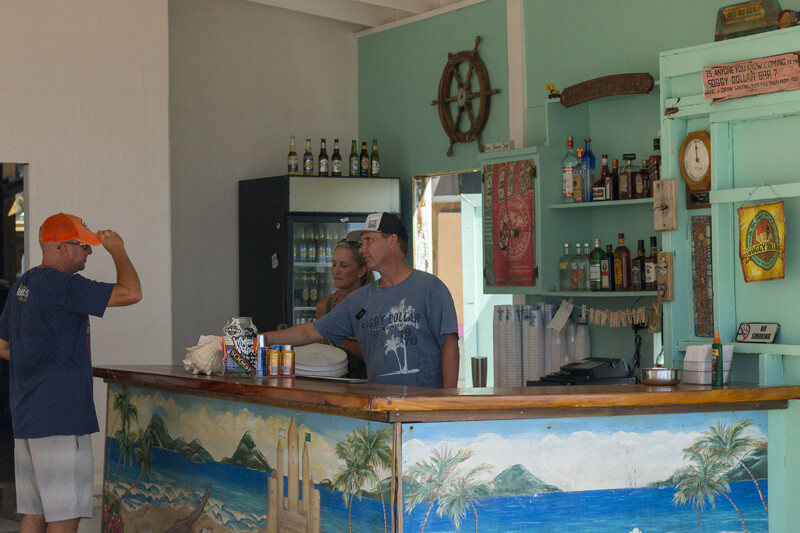 My boat, the MarineMax 484, along with the 43 powercat from The Moorings, visited Pirates Bight, a restaurant on Norman Island that had also just opened for business. The 2018 cruising season had barely started, so I was surprised at the number of boats in the bay. While I was told this was nothing like the BVI of years past when you’d need to get to your destination by noon if you wanted any chance of picking up a mooring ball, there were a dozen or so boats at Norman Island. Pirates Bight was open and entertaining guests as we arrived. Unfortunately another popular establishment, the Willy T floating bar and restaurant, was still up on the beach. The owners are planning to build a new Willy T opposed to salvaging the greatly damaged original. 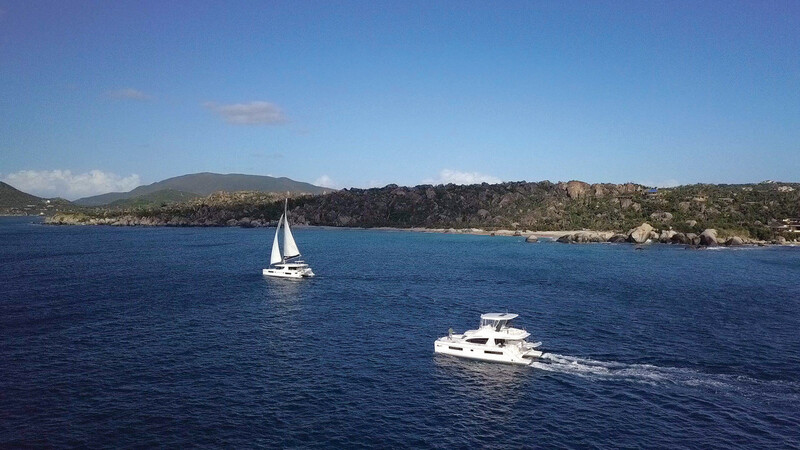 Our Moorings powercat and sailing catamaran departing The Baths on Virgin Gorda. We rounded out our tour at The Baths on Virgin Gorda where we also found a busy mooring field. The Baths were open for business and we rendezvous’d with Peter Nielson, Editor-in-Chief of Sail, who had headed to Virgin Gorda the day before. He reported Leverick Bay being open for business with fuel, water, and provisions. Spanish Town’s marina was also close to being back to fully operational with diesel already available and plans for water and ice to return in the next few days once some parts came through for their filtration system. Peter also reported many of Virgin Gorda’s restaurants to be back open, including Coco Maya and Snappers. The Moorings fleet ready for their reopening to kick off the 2018 chartering season. 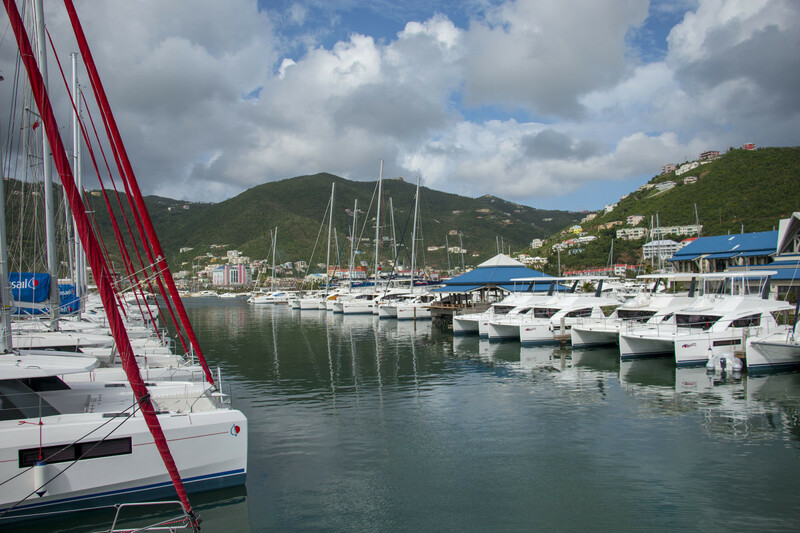 We closed our trip out with the grand reopening of The Moorings Base at the Inner Harbor of Road Town on Tortola. 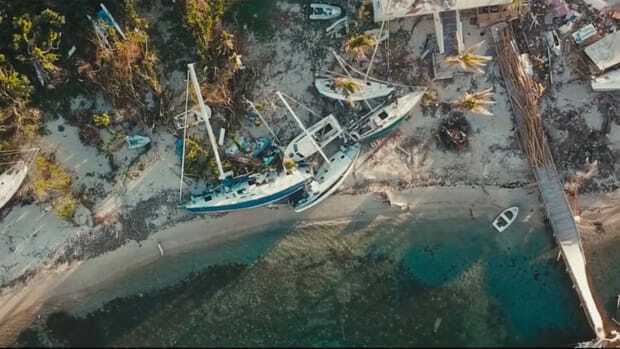 The Moorings, like many charter fleets, had suffered catastrophic losses with over two-thirds of their 400-boat fleet taken out of commission by Hurricanes Irma and Maria. But The Moorings had been working hard to recover, and the days before their reopening event the base was abuzz with new boats being offloaded and crews commissioning them. 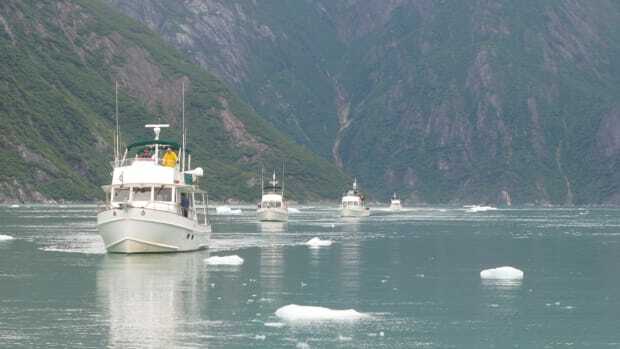 The reopening weekend would see dozens of charter boats depart with vacationing guests. Boats were being waxed, the main offices were being spruced up, and the many restaurants and bars of the complex were reopening. The determination of The Moorings staff was impressive, but it was not unique—across the islands this recovery work was being carried out. And in many ways it felt like this was more than just recouping from a devastating trio of storms. It was a true rebirth of the islands and a testament to the resilience of the people. Sunset over The Moorings base as the charting season kicks off. That night, Painkillers from Pussers were served on the patio of The Moorings base as customers and staff gathered. I ran into Jason, the bartender from The Soggy Dollar whose last name I never learned. I told him I was happy to have seen The Soggy Dollar open so soon after the Sunday Flotilla since the general manager, Jamie Gladman, had told me he wasn’t expecting to open until the following weekend. Jason explained that the Flotilla had convinced him that his bar needed to be back open as soon as possible. “It felt like it used to that day,” he said. So he insisted they open the bar, and promised Jamie that he would work six or seven days a week to have the bar open. They opened the very next day.